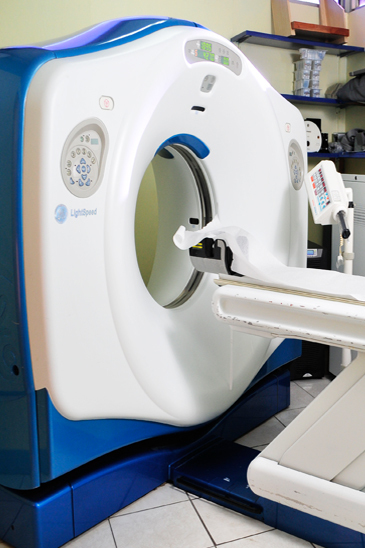 Radiology West began serving Jamaica in October, 1999. Founded by Drs. Konrad Kirlew and Welsford Sinclair, it was established in Montego Bay as a well-needed private diagnostic centre for the western region. Computed Tomography (CT) Scan is a medical imaging procedure that uses x-rays to obtain thin slice images of the body. CT is used to investigate a wide variety of medical conditions in the brain, spine, chest, abdomen, pelvis and extremities. Fluoroscopy can be thought of as a video x-ray. This usually involves the administration of a contrast medium (dye) into the body part of interest. The most common contrast for stomach, colon and small intestine is barium. 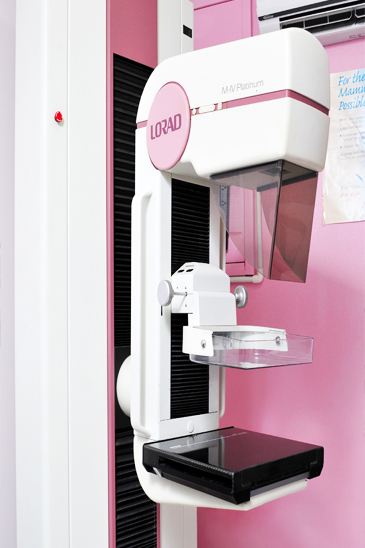 This is an x-ray examination of the breast from several angles, in order to detect cancer. The breast is placed between plates and compressed while an x-ray is taken. The films are then assessed by a radiologist before the patient leaves the department. 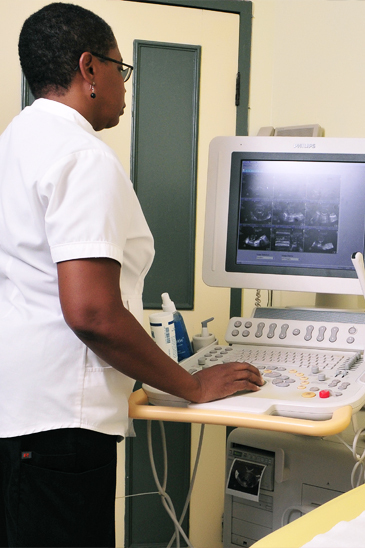 Ultrasound utilizes energy close to that of sound waves to look at the size and structure of body organs. Ultrasound gel is placed on the area to be examined and a probe is moved over the area to obtain the images. This procedure is performed by both sonographers and radiologists. 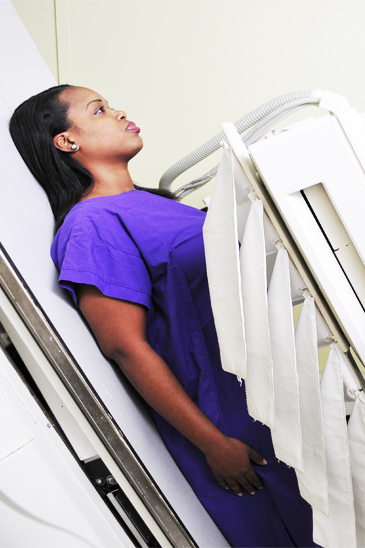 Dr. Kirlew is one of the founders of Radiology West and is currently also the director. He was born in Jamaica and attended high school in Montego Bay. He studied Radiography before attending college at the University of Florida in Gainesville. Dr. Duane Chambers has been a consultant radiologist with Radiology West for the past seven (7) years and is professionally affiliated with many other imaging centers. He is also a founding partner of Imaging and Intervention Associates in downtown Kingston. Dr. Nichole Grant is originally from Kingston, Jamaica. She completed a first degree in Biochemistry and Zoology as well as her Bachelor of Medicine and Surgery at the University of the West Indies. She then pursued the specialty of Radiology at the University Hospital of the West Indies. It’s my first time there and the short time I was there the service was excellent…..so far I think everybody is well put together ( clothes, hair) everything is good…The staff members really knows how to deal with patients….. Was extremely satisfied (They say I would have to wait within 3hrs and within an hour I was out). Watch this space for Upcoming & Breaking News and Events at Radiology West. You now have more than one way to contact us. We have another convenient location.